The highly-influential Sheryl Sandberg spoke with business mogul Richard Branson about exactly why women are discriminated against. Silicon Valley exec Sheryl Sandberg has spoken out about why she believes women are routinely discriminated against in the workplace – spoiler: it’s got something to do with success and negative stereotypes. “For men, likeability and success is correlated,” she said, in a recent interview with Bloomberg Television. “As they get more successful, more powerful, they’re better liked. For women, success and likability are negatively correlated,’ she continued. “As a woman gets more successful, more powerful – she is less liked." 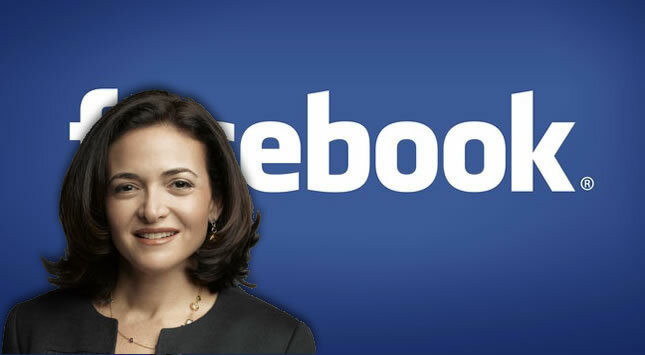 “I don’t know a senior woman in the workplace who hasn’t been told she’s too aggressive,” added Sandberg. The Facebook COO and ‘Lean In’ author made the comments while discussing the recent trial of Ellen Pao, now interim CEO of Reddit. Pao lost the multi-million lawsuit but the case garnered international attention and raised issues around the broader attitudes to women in business. "So many women, not just in technology, but across industries, saw their own experiences there," Sandberg said, referring to the Pao’s testimony. Pao claimed she was excluded from boys-only business trips and told to take notes in meetings, something her male counterparts were not expected to do. Sandberg joked after hearing the comment: “I just fainted,” before Branson went on to back a 50% female quota for all new companies.